The Paley Institute Spine Center is proud to offer the Rigo Cheneau Brace. This is a highly advanced device that provides individual scoliosis therapy. This unique bracing system was developed by Dr. Cheneau and later improved by Dr. Rigo. Treatment is designed to account for all aspects of the scoliosis curve. 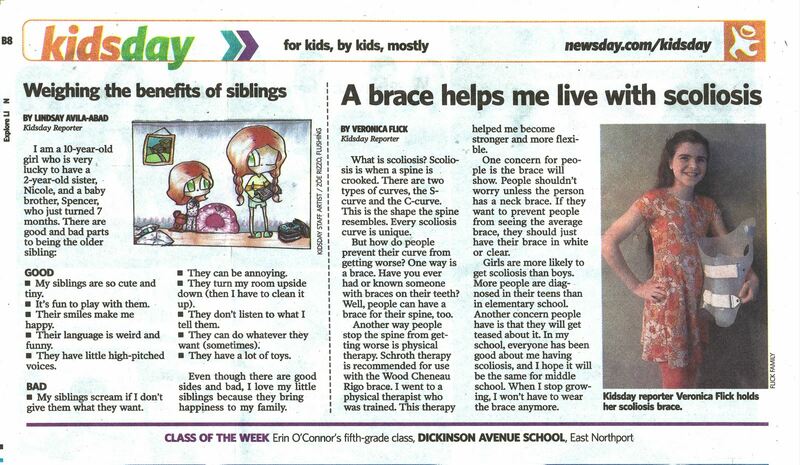 Each brace is individually manufactured for each scoliosis patient. The desired treatment is a gradual elongation and straightening of the spine. The Paley Institute partners exclusively with Align Clinic in providing custom-tailored braces for our patients. Align Clinic currently works with the Paley Institute to provide on-site bracing clinics on a monthly basis. Align Clinic is home to the Wood Cheneau Rigo (WCR)® brace. The WCR® brace involves a team of scoliosis professionals from around the world working on the patient’s classification of the curve. The patient curve type is individually classified by the Classification of Rigo using the x-rays and clinical photos of each patient. Based on this classification, an individual brace design from the Classification of Rigo brace designs is selected for each patient. Dr. Manuel Rigo is personally consulted on WCR® brace cases for verification of the patient’s curve type and scoliosis brace design when necessary. This is a multi-disciplinary approach using feedback from the patients prescribing MD and Schroth or Barcelona Scoliosis Physical Therapy School (BSPTS) physical therapist in combination with the orthotist’s skills. Subsequently, the measurements, x-rays, and clinical photos are used to design and fabricate a custom-made Wood Cheneau Rigo brace. 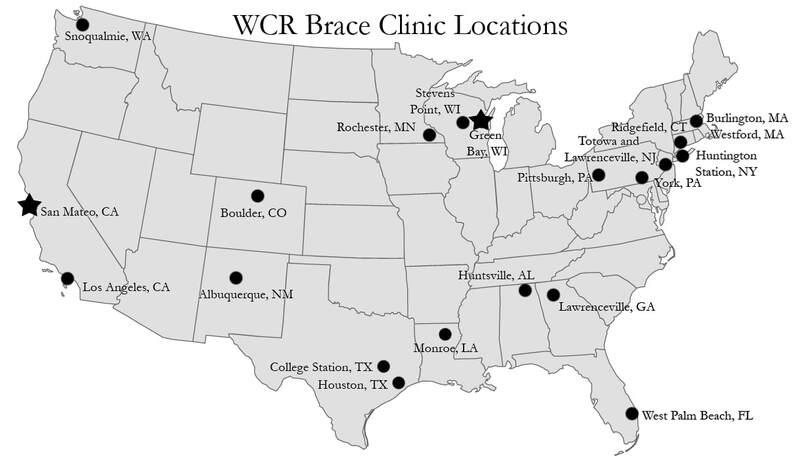 Align clinic has WCR® clinics all across the United States. Grant Wood, MS, CPO, is the co-founder of Align Clinic in San Mateo, California and has over 25 years of experience in the areas of prosthetic and orthotic patient care, management, product development, and scientific research. He is an active presenter, researcher, and winner of awards in prosthetics and orthotics. Grant Wood is also a specialist in scoliosis bracing with the Cheneau brace and the Rigo-Cheneau braces. He has the unique qualification of having trained and mentored with Dr. Rigo and Dr. Cheneau since 1996. Emery Maloney, CO, has nearly 30 years of technical, clinical, and managerial experience in the Green Bay, WI area. Emery is native to Northeast Wisconsin and started his career as a technician in 1985 with Tyo & Tyo LTD. He is a US Army Combat Veteran and was deployed to Operation Desert Storm in 1991. In 2000, Emery was certified in Orthotics by the American Board for Certification in Orthotics, Prosthetics & Pedorthics (ABC). To learn more about Align Clinic and to see their amazing case presentations, please visit their website. If you are interested in being seen at the next brace clinic, give our office a call at 561-844-5255. Please ask for Jennifer Enterkin to set up any necessary consultations prior to our scheduled clinics. The Paley Institute has four Schroth certified physical therapists who’ve been trained in brace evaluation scanning, and would be happy to evaluate new patients between brace clinics. Our center is also equipped with an EOS low radiation x-ray machine. Dr. Feldman will be able to write prescriptions for new braces or x-ray imaging as medically necessary for patients who’ve received a consultation with him.